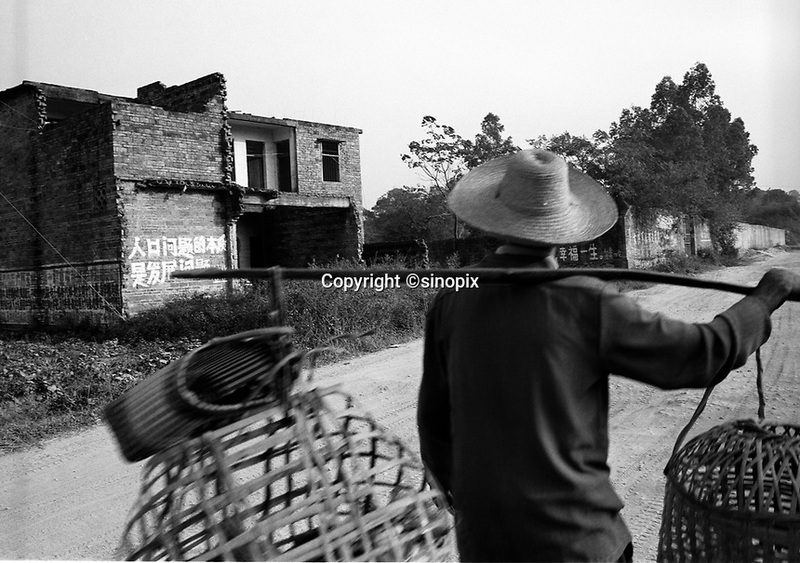 A farmer passes a house in Bobai county outside Yingqiao that has been smashed up by the Birth Control Committee after the central Government repremanded the local authorities for too many children in the area and too little revenue being generate from fines. There were riots in Bobai as a result of the tough stance by the authorities where officials were killed and the army had to be mobilised. The house and the surrounding area have slogans from the One Child Policy, "fewer babies better life" and " a sensible birth policy is essential for development".